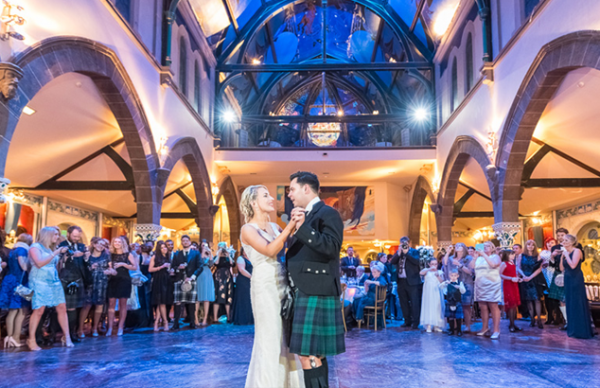 We offer a Victorian Bar and Whisky Bar, John Muir Room Restaurant and Brasserie Restaurant, Private Dining Room, Live Music venue, Night Club, and our stunning Auditorium with mural ceiling by Alasdair Gray. As well as hosting the now internationally recognised ‘A Play, A Pie and A Pint’ lunchtime Theatre, Òran Mór also provides the perfect setting for corporate and private events, weddings and ceilidhs. 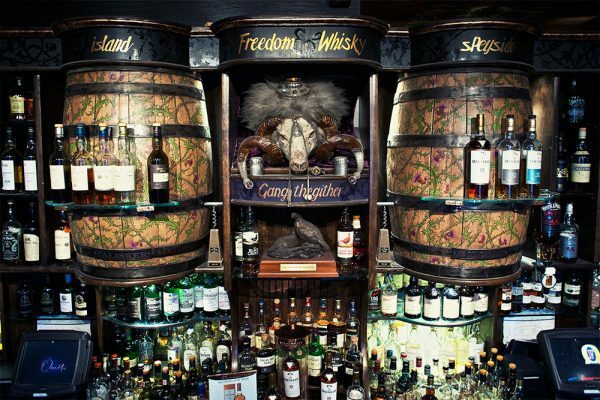 Òran Mór hosts two bars, our main Whisky Bar and, on weekends, The Brasserie Late Night Bar opens its doors for Champagne, Cocktails and much more. 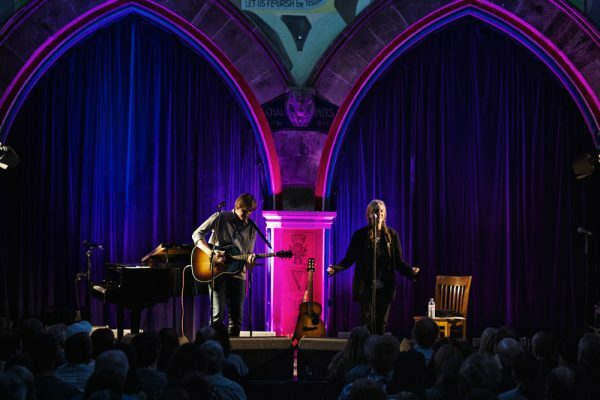 Live Music, Comedy and Theatre. View our upcoming programme of live events. Òran Mór is a unique venue, offering stunning facilities for a wedding ceremony or civil partnership ceremony. 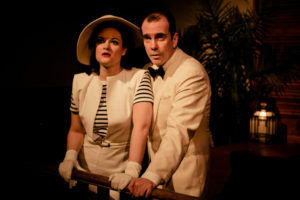 Buy tickets, view show times and read more about this week's play on the A Play, A Pie and A Pint website. A fashionable and historic hotel in the West End of Glasgow, just a short walk from Òran Mór. 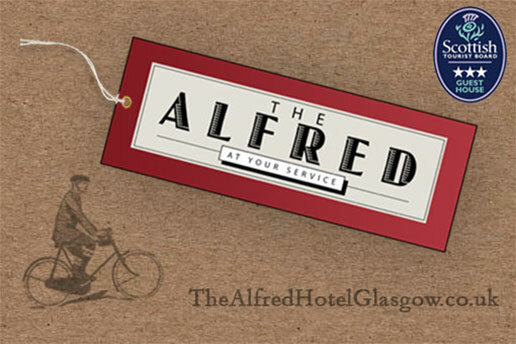 The Alfred is at your service! 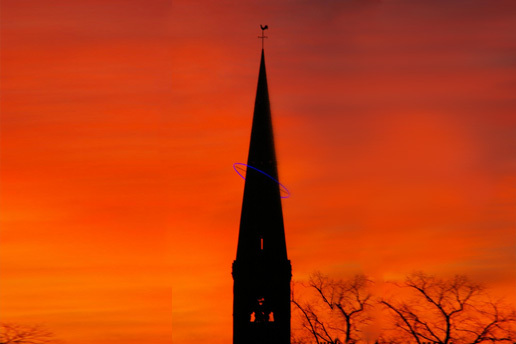 Watch the lighting of our famous halo.